Should you optimize for Facebook? Can you improve Google search results with Facebook SEO? At the 2009 MIMA Summit I gave a presentation on the intersection of SEO and Social Media suggesting that companies become publishers in their marketing and that the opportunity for search doesn’t just lie with Google, but also with social search. At the time, Facebook’s internal search emerged as one of the search engine engines tracked by comScore. The idea being marketers can optimize their website content for standard search but also the content they publish within social networks and on social media content sites. Fast forward: comScore’s June 2010 U.S. Search Engine Rankings report shows that Facebook search queries have grown from 395 million in January of 2010 to 621 million queries in June. That’s almost half the monthly queries reported for Bing (1.7 billion) but not anywhere near the 10 billion plus queries on Google. Facebook hosted pages ranking well in external search engines like Google, Yahoo and Bing. Content that can be displayed in the search results from Facebook’s internal search engine such as Facebook hosted pages, Facebook Questions and web pages served up through Facebook’s search results partner, Bing. Facebook internal search will show a mix of results from your Facebook network or other Facebook content like apps or groups, off-Facebook web pages and with the launch of Facebook Questions, might send you to Questions pages others have created. If the query reflects a question where none exists, it might prompt you to create one. To segment the the type of Facebook content that’s searched, you need to use the search page, which interestingly does not allow you to filter by Questions. Pick your page name and vanity URL wisely. Use keywords in the “about” box when you write your description of the page as well as in the Overview section of the info tab. Also, take advantage of FBML (Facebook Markup Language) to add custom content (text, images and links) that can includ relevant keywords that work together with your other keyword use. When adding content like photos, discussion topics and status updates, think of keywords in titles when appropriate. Whenever you create a unique page on Facebook such as a discussion topic on a Fan page, there is an opportunity to implement most of the standard SEO tactics you would use with a web page. If permissions allow, external sites can link to the discussion page, helping it to rank well in standard search engines outside of Facebook. The newest opportunity to create content on Facebook that shows prominently in Facebook search results are Questions. Be thoughtful about keywords as you title your Facebook Question and the description. The more likes you get for your Question, the more like-ly it will show in search results, so make it interesting, descriptive, interactive (add a poll) and promote it to your network. You could also ask and answer your own questions. As for getting your website’s pages into Facebook search results, Bing is the gatekeeper. Facebook search results for out of network web pages are provided by Bing so inclusion in Bing is a necessity. You can incorporate Facebook Open Graph protocol into your website and add a Like button to web pages for things like movies, sports teams, celebrities, and restaurants but there are many other types supported. Basically, this is a set of meta tags that you’d add to the template or source code of your site. Jesper Astrom offers his thoughts on how to get indexed and rank in Facebook Search here that explains how the meta data plus the signal of Likes performed by readers of your web page content can influence rankings on Facebook. Amongst all the things you could be spending your digital marketing time on, does it make sense to focus SEO efforts solely on Facebook? I agree with David Harry, and would say probably not. However, companies that have already committed to improving search performance of their web content on standard search engines and who are actively building a community on Facebook would do well to understand the additional opportunities for reach afforded by Facebook SEO. In other words, if you’re already under the hood, why not make sure you gain Facebook search benefits too? Have you tried optimizing content for better performance within Facebook? What about optimizing Facebook content for better visibility within external search engines? I have never took much importance in facebook, this post is really insightful and I will be giving facebook a trial. This is very real and what is happening today. With the bloom of social networking sites with exponential growth of their members, we can definitely conclude social media via social networking sites is a new way for companies and individuals to promote their products, sales, and services. Very good food for thought. I was skeptical at first because I had trouble believing that many people open up their updates but with Pages, Like Buttons, and Facebook Questions, Facebook search is starting to have a lot more relevance. The interesting thing about optimizing Facebook content is that it can go in several directions. I didn't even mention the syndication of content from Facebook to other search engines. Even if there isn't much demand for search within Facebook, there's Google and how it ranks Facebook content. Worth a test at least. Nice article Lee. It is easy to forget about SEO tactics when creating a Facebook page. 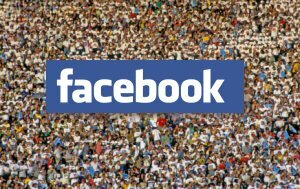 With 500 million users, Facebook is too important of a medium to ignore. There have been few well written articles on the topic of Facebook SEO; this is one of the best I've seen. Facebook is amazing, but i don’t want to send all my traffic to my facebook page, because i can’t get any data to analyze. I prefer to balance my traffic to my website and my facebook page. but, it’s a very nice thought of you, worth a try. Thanks for the tips Lee! When faced with numbers, Facebook is pretty impressive, and definitely one of the main outlets to focus on when embarking on brand marketing. Great Article thanks for the advice! SEO should be used in Facebook, after all its the biggest Social network out there. How would you add Meta Data to a Facebook page? Hey Vim, the meta data isn't added to the pages hosted on Facebook. It's added to the web pages of your website. Facebook is an outlet not to be ignored. Thanks for the advice. SEO can sometimes be forgotten when thinking about Facebook but clearly it's something to spend time on. Well this is a nice article on importance of facebook as a search engine for internal and external search benefits. Technology is rapidly developing and we should invest wisely in these technological advancements.I think it is a great idea for Facebook to have optimized their SEO results. However, there are also drawbacks that come to my mind. Since Facebook is evolving at such a fast pace, I would think that they'd be developing the website in such a way that it somehow mirrors the likes of Multiply, Friendster etc., that users are a little bit overwhelmed of changes in just a short span of time. Wouldn't be Facebook be somehow overrated, and wouldn't the website be too complicated especially for those who are not 'techy'? Cheka, I think you're right in that Facebook can seem too geeky, but when you look at the younger generation and what they're exposed to, what most people my age call “geeky”, would be considered as familiar to them as a telephone or TV set. As Charlene Li puts it, “social networks are like air” to them. I've always preferred On Page SEO, But Off Page SEO for facebook is also really helpful for any company either big or small! 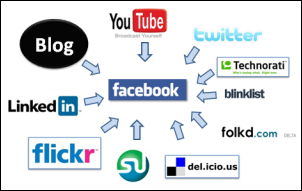 facebook is really best social media website, really every seo person should use to facebook seo. Thanks for the tips. facebook is most popular in the people in now days.It is useful to promote your social business through social media marketing.i am also the fan of facebook.thankos for share the nice information. http://hubpages.com/hub/gettingrich shows how to do things like this. Facebook is an amazing tool for people to connect and even promote their products. The other point worth adding is that 78% of consumers trust “peer recommendations” versus only 14% who trust search results. 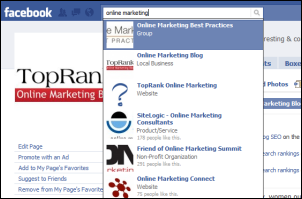 Facebook fundamentally changes the relevancy of search engine rankings. People are increasingly turning to their Facebook friends and asking for suggestions. very good article and good blog but my question is how to create links in facebook? Alvaro, Facebook has a form for including links with wall posts. If that comment stream is syndicated out of Facebook then it can be a link that’s discoverable by search engines. I was searching through the internet for a few days to get some information about this. So, thanks for sharing.